A little something for everyone! Here at Trip’s Diner, we understand that everyone has a few favorite lunches that they tend to enjoy on a regular basis, so we’ve created a luncheon menu offering a tasty selection of specialty sandwiches designed to provide just that. We’ve got a little of everything on the menu! For starters, we suggest that newcomers to our restaurant try “Trip’s Triple Club”. It’s a delicious sandwich served with basil ciabatta and all of the fixings, and it is one of our most popular choices. For pork lovers, we offer our “Pulled Pork,” a succulent sandwich flavored with a tangy honey BBQ sauce and served on a toasted bun as well as the “Cuban,” a sandwich piled high with pork, ham, salami, and Swiss! Not to be outdone by the “Philly Cheese-steak,” we’ve created our own “St. Pete’s Steak & Cheese,” a savory hit featuring melted provolone and sliced rib-eye. 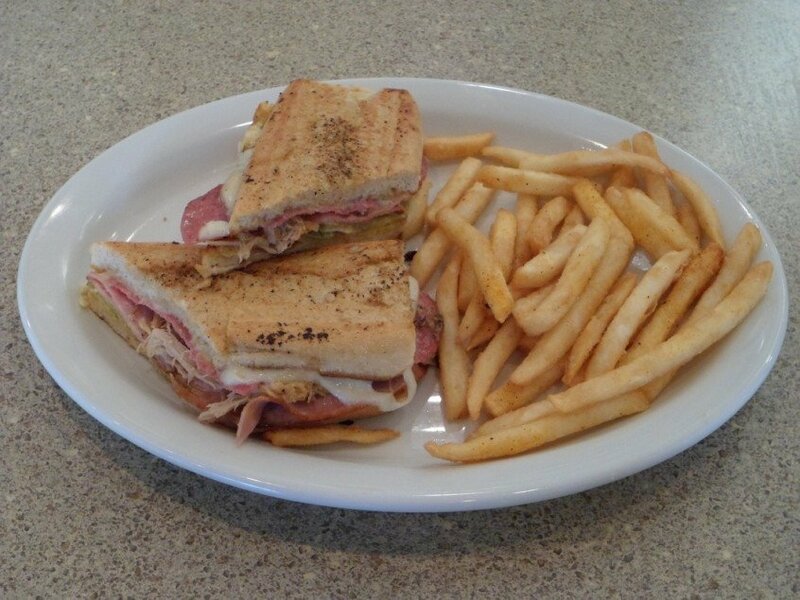 Of course, these are only a few of our many specialties when it comes to sandwiches. Plus, you’ll be glad to hear that each one is accompanied by your choice of our delicious, homemade Coleslaw, potato salad, pasta salad, or a heap of French fries! If you’re really hungry, ask about our soup of the day. We’ll serve it piping hot! Thanks so much for registering to receive the latest news for Trip’s Diner. We hope to see you soon!